Lines: The Two flagship models are the Duet front load and Cabrio HE Top Load. Whirlpool have economy versions of the two which cut out the bells and whistles. 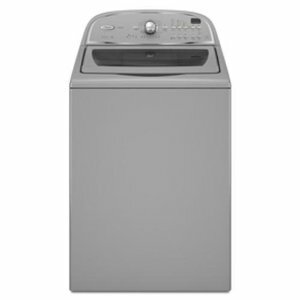 Price Range: Whirlpool make mid to higher priced range washers. Take a look a GE’s line if you want to spend less. 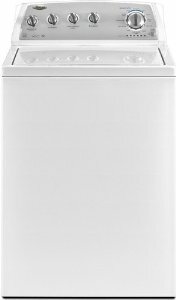 Top Washer: High end Duet’s (with 5.0 cu ft capacity) and Cabrio’s (with 5.2 cu ft capacity) could break the bank, coming in at around $1600 - $2000. There is a cut down version available for half the price with less features. The Duet Sport is an older model – it is a duet with some features taken out. Known for very flexible installation basically anywhere you desire in your laundry room, and also saving up to 2 thirds of water and energy used in traditional top loaders. The Cabrio line, being high efficiency, combines top load cleaning with water and energy savings. Energy star qualification comes as standard on most Whirlpool’s, apart from the low end machines. 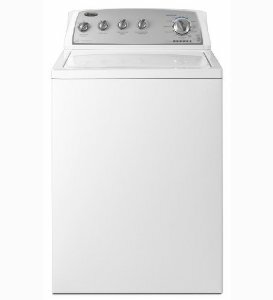 These efficient, front-loading washers come in several colors and sizes, with a wide range of features. This is Whirlpool’s newest line, and their stylish design choices reflect this. Full-color LCD screens let you easily customise cycle settings and even offer answers to a sort of “laundry FAQ”, and computerized, automatic temperature control ensures that your clothes get the optimum clean. Some things you’ll want to keep in mind: although customers are by-and-large happy with their Duet purchase, durability and ease-of-use tend to be common weak points in reviews. 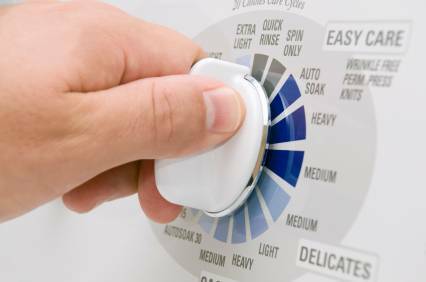 Customers also report some difficulty keeping the washer’s various nooks and crannies clean. 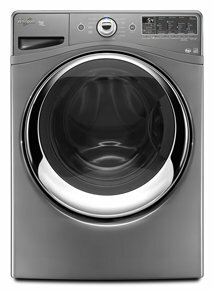 The Duet lineup is predominantly Energy Star qualified, and some models offer steam treatment options for tough-to-beat stains. A wide range of cycles and a delayed-start feature make Duet machines highly desirable for busy homesteads, and Whirlpool’s “Quiet by Design” technology makes these a great choice for apartment dwellers, too – even though Duet drums spin very quickly, making for a fast spin cycle. From economical to high-end, the top-loading Cabrio lineup runs the full gamut. 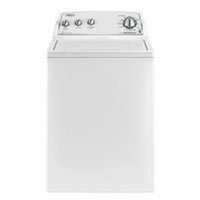 With slightly smaller drum capacity than the Duet series, these machines are popular with smaller families who don’t have a mountain of laundry each week. 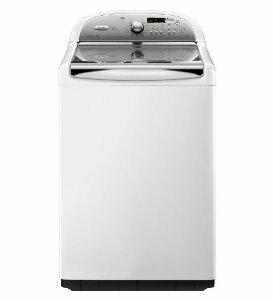 Featuring LED displays and automatic detergent injection for easy control, the Cabrio lineup is very water-efficient and mostly Energy Star rated, too, so you shouldn’t see a spike in your utility bills. Not really recommended for condo folk – see below. Some things you’ll want to keep in mind: these washers are both relatively noisy and prone to “walking”. 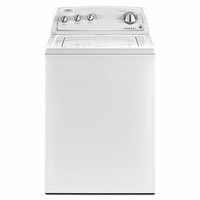 By all accounts, the washer does a fantastic job of cleaning clothes with vvery little water use, but the spin cycle seems to be a problem: it’ll twist up your clothes so tightly that they’re almost dry, but that can lead to extra ironing work – not a problem for everyone, but something to be aware of. Whirlpool customers have reported some difficulty in sourcing replacement parts for these models – caveat emptor! 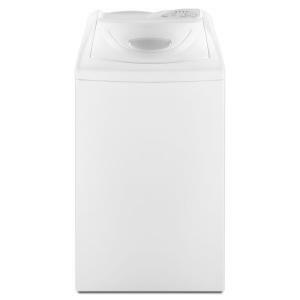 Cabrio WTW5600XW Top loader washing machine 3.6 cu. 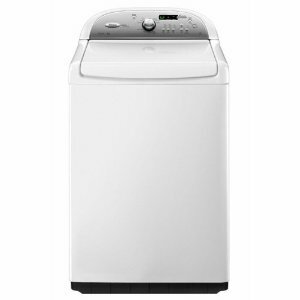 ft.
Cabrio WTW5500XW Toploader Washing Machine 4.3 cu. ft. The top-loading Standard lineup varies greatly in features and capacity. These most loosely resemble the washers we’re used to – temperature selection, average-sized drums, cycle selector… it just does your laundry. 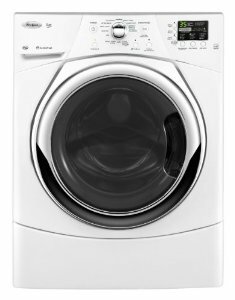 Some models feature noise reduction and the Energy Star rating and in the higher end, you’ll find delayed start timers and Whirlpool’s “Sixth Sense” technology, which automatically calculates the best water volume, temperature and detergent mix based on the size and type of load. 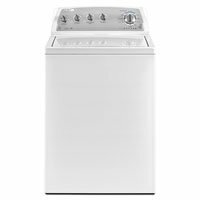 If you’re looking for a washing machine that does its job well, works reliably and doesn’t break the bank, this is the lineup for you! Some things you’ll want to keep in mind: with great price comes a smaller selection of features, at least relative to Whirlpool’s higher-end models. These machines are also a good deal bulkier than some other line – remember to factor in the size of your space when choosing a washer! While some of the Standard series bears the Energy Star award, not all of them do. If you’ll be doing a lot of laundry, you may want to keep this in mind – you get enough utility-bill surprises as it is! Lastly, if you’re in an apartment or condo, please note that not all Standard models include a noise-reduction feature. WTW4800XQ is traditional Top Load a 3.4 cu. ft.